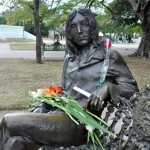 John Lennon had unique talent, success, love and, above all, universal approval. 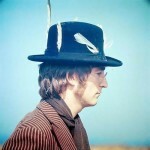 He was one of the most iconic people on the planet in the 1960s and 1970s. 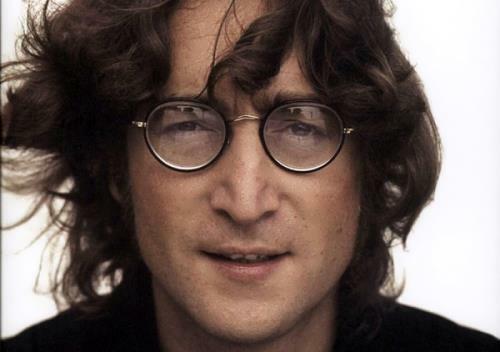 John Winston Lennon (October 9, 1940, Liverpool – December 8, 1980, New York) was an English musician, poet, and songwriter. 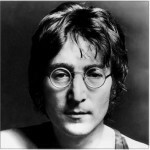 Lennon was a founder of The Beatles, the most important and influential group in the history of rock ‘n’ roll music. There is a very special place in New York’s Central Park called Strawberry Fields – after the title of the Beatles song ‘Strawberry Fields Forever’. When John Lennon was alive, it was his favourite place in Central Park. It’s close to the Dakota building where he had lived with his wife Yoko Ono and where he was murdered by a crazy fan, Mark Chapman on the 8th of December, 1980. His father, a merchant seaman, left the family when Lennon was five. His mother, Julia, felt unable to care properly for their boy alone: under authority pressure, her sister Mimi became his surrogate mother, and brought up Lennon through his school years. When John was seventeen Julia was killed by an off-duty police officer’s car as she crossed a road near their homes. 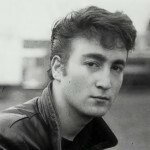 Lennon attended Dovedale Primary in Woolton, and then Quarry Bank High School. 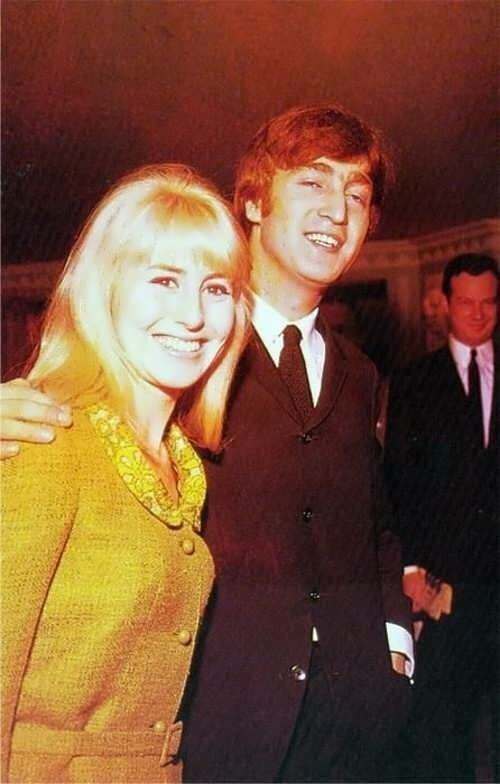 He continued his education at Liverpool’s College of Art, where he met his future wife Cynthia Powell. 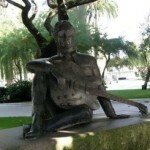 Inspired by the rock ‘n’ roll of Elvis Presley and Chuck Berry in the mid-1950s, Lennon started learning the guitar. 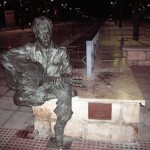 Lennon formed his first group, the Quarrymen, in 1956. 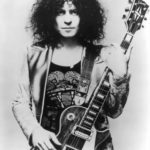 That year he met Paul McCartney, with whom he eventually collaborated in writing more than 150 songs. 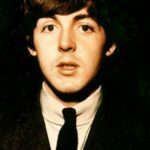 Lennon and McCartney made some early appearances as The Nurk Twins. By 1959 George Harrison had joined the new group, which by then had been renamed Johnny and the Moondogs. 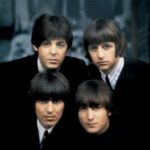 In 1960 they became the Silver Beatles. 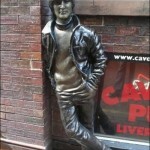 For the next two years they played local engagements in Liverpool, most frequently at the Cavern Club. The Beatles first appeared in Germany in 1960 and made their debut professional recording with Rory Storm and the Hurricanes in Hamburg. In 1962 Ringo Starr joined the group. 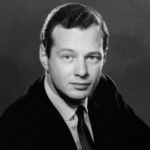 In the same year in August Lennon married Cynthia Powell and they had a son, John Charles Julian, the following year. 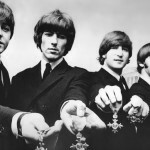 During 1963 the Beatles’ popularity spread throughout England, and they reached 1 in the Melody Maker chart with ‘Please Please Me.’ In 1964 their records were released in the United States. 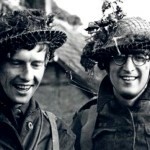 In 1967 Lennon appeared in How I Won the War, a film by Richard Lester, who had directed the Beatles’ first two films, A Hard Day’s Night and Help! 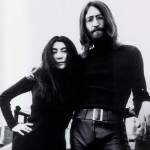 On 9 November 1966 Lennon met Yoko Ono, his future second wife and a world- famous artist, musician and peace activist. 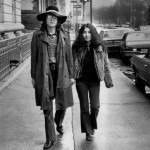 In November of 1968 Lennon divorced from his first wife on the grounds of adultery with Ono. 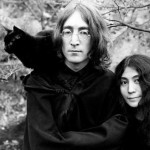 On March 20, 1969 Lennon and Ono were wed on the Rock of Gibraltar. Their marriage resulted in a son, Sean. The Beatles made their last live public performance on the rooftop of Apple Studios in January of 1969. 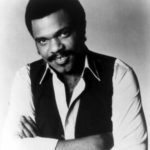 In 1970 the group officially disbanded. In addition to music Lennon also dabbled in literature. He wrote his first book, In His Own Write, which subsequently won Foyle’s Literary Prize. This was followed by A Spaniard in the Works. On December 8, 1980, Mark David Chapman, a deranged fan, murdered Lennon outside the Dakota in Manhattan. 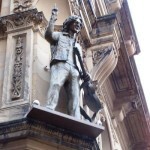 The monument to John Lennon was opened in Liverpool, where the famous singer was born. 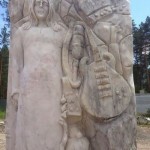 It was designed by Lauren Voiers and was called Peace and Harmony. 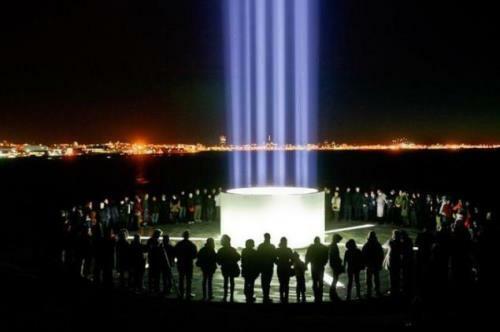 The Imagine Peace Tower is an illuminated memorial to John Lennon situated on an island near Reykjavik, the capital of Iceland. It was designed by Yoko Ono. 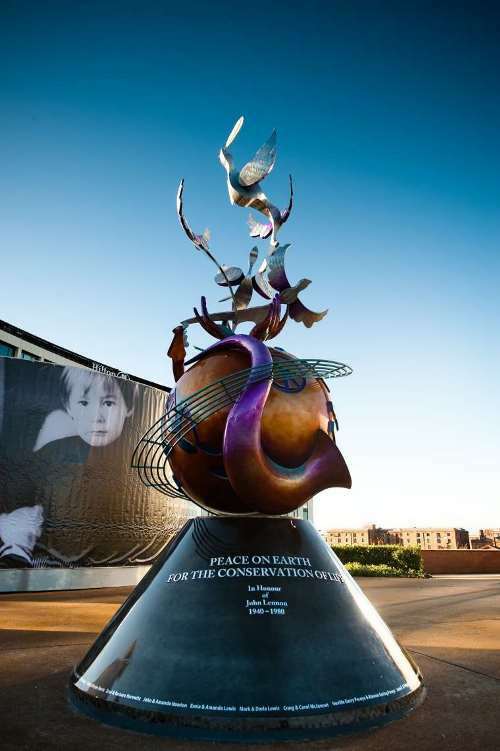 Every year, on the 9th of October Yoko Ono lights the Imagine Peace Tower in honor of John Lennon’s birthday. It shines into the black sky every night until the 8th of December, the date of John’s death.